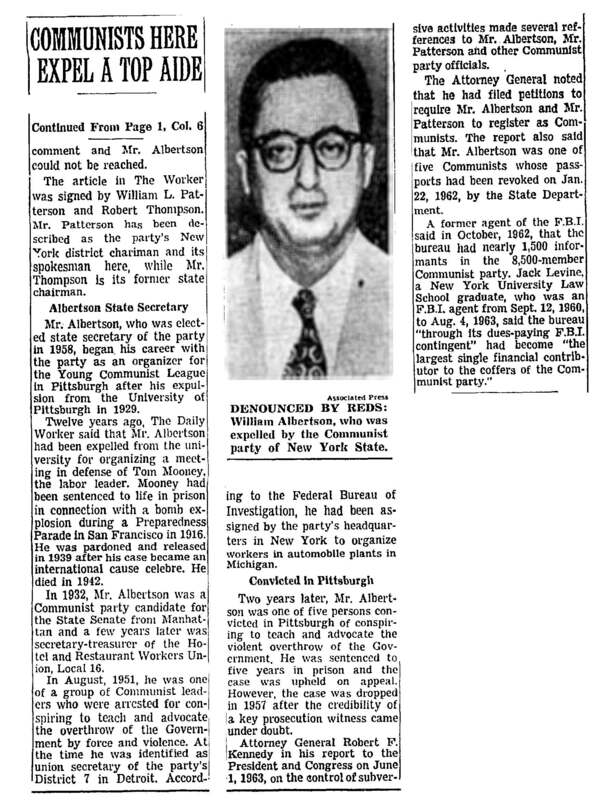 This entry was posted in William Albertson and tagged Communist Party USA, Newspapers, William Albertson by mattg. Bookmark the permalink. a snitch jacket? never heard of it. great article!